Barcelona coach Ernesto Valverde conceded he knew it was a risk to play Ousmane Dembele before the France forward suffered a torn hamstring against Lyon. 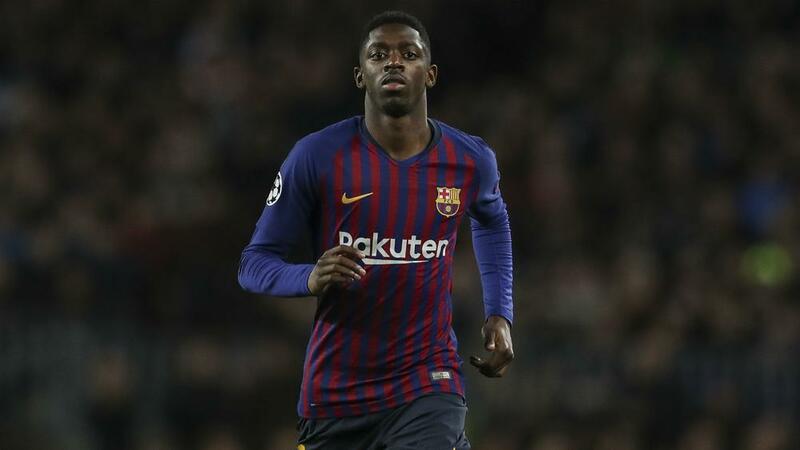 Dembele was introduced 70 minutes into Barca's 5-1 Champions League win over Lyon on Wednesday, with the score 2-1 when he entered proceedings. Lyon needed just one goal at that point to advance to the quarter-finals, but Barca stepped things up after the 21-year-old's arrival and scored another three. Dembele got the fifth with a rasping finish late on, though a day later Barca revealed the Frenchman – who was a doubt before the match – aggravated an injury and tore his hamstring. He is expected to miss up to a month and Valverde accepts it is largely his fault. "He's injured, it was a decisive game and, although he had a niggle, we thought it was important to play him," Valverde told reporters ahead of Sunday's clash with Real Betis. "It was a tight game, we wanted him on. "He played and had a little problem. We hope he's back in three weeks. We took a risk and now we've lost him for three or four weeks. "The player was feeling great, he didn't think he had a problem and thought he could play perfectly. "We knew he had a slight problem because of how he finished [training] the day before, but it didn't seem to be something to stop him playing. "The doctors do their job, the player does his and the coach makes the decisions. I knew there was an element of risk, as I'd spoken to the doctors. "That's their job and I made my decision because it could have been a decisive game. We had to take a certain amount of risk." Consequently, Dembele could not be called up to the France squad for their upcoming Euro 2020 qualifiers against Moldova and Iceland. His team-mate Clement Lenglet was overlooked despite impressing of late, while Samuel Umtiti – only just back from a lengthy injury lay-off – is involved in Didier Deschamps' selection. Valverde refused to criticise the absence of Lenglet, however. "Lenglet is playing very well, Samu is getting better, both are having great seasons," Valverde said. "Lenglet is settling in more and more at the club, but there's other players, all the defenders. "I like to have the central defence well covered and it is. As for France, it's up to their manager to pick their team, not me."